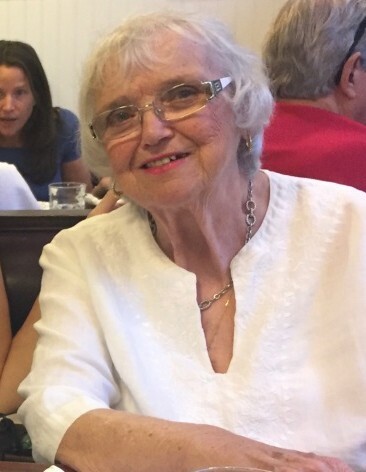 Bernice M. (Kennedy) Colendenski died on March 27, 2019 after a long struggle with cancer. Born on December 29, 1939 in Jersey City, NJ, Bernice graduated from St. Michael’s High School in Jersey City and in 1961 married August J. Colendenski (“Gus”). They moved to Cranford, NJ in 1963 and raised 3 loving children. Bernice enjoyed spending summer vacations with family in Lake George and winters in Florida with Gus, after his retirement from a distinguished career in law enforcement. She closely followed professional baseball and golf, enjoyed playing golf with family and friends, but especially cherished time spent with her "11 grands". Bernice was predeceased by Gus, after 55 years of marriage, by her parents Robert and Madeline Kennedy and sisters Rosemary and Madeline. She is survived by her daughter Donna Corley (and husband Tom), her son John (and wife Bridget) and her daughter Krisann Bintley (and husband Simon), as well as her beloved grandchildren Meaghan, Sarah, Kelly, Robert and Caroline Corley; John, Julia, Bridget, and Caitlin Colendenski; and Emily and Rebecca Bintley (by whom she was affectionally called “Grammy”). Visiting will be held on Friday, March 29th from 4:00 to 8:00 PM at the Higgins and Bonner Echo Lake Funeral Home, 582 Springfield Ave., Westfield. A Mass of Christian Burial will be celebrated on Saturday, March 30th at Our Lady of Lourdes RC Church in Mountainside at 10:00 AM.